In our last blog post, we talked about studies and surveys that showed that on-page SEO is dead, or at least, no longer a significant variable in Google’s search engine ranking page (SERP) algorithm. But before we discuss the accuracy of this claim, let’s first discuss..
As the name implies, On-page SEO refers to all the things you can do ON your post or page to rank high as possible on SERPS. Here are a few of them including tips on how to make each one work. Once you have decided on the focus keyword you want to target, make sure this shows up on your Title. Whenever somebody searches for this exact phrase, your post has a better chance of showing up because it is included word per word in your page title. In the same way that you want to optimize your page title for your focus keyword, so you should do the same for your URL. The difference is that your Page Title will be more descriptive and may possibly include some bait, while your URL will be exact. Many bloggers don’t take the time to add in meta descriptions. Meta descriptions are the descriptions that show up in social media or search engines when your webpage is included in search results. It is good practice to write a meta description that defines your content well as opposed to the system just taking an excerpt from your post. Not only will it be better written, it will be also more targeted as you can repeat using your focus keyword and other relevant key phrases that will help you be found faster. Meta Description: Check out our easy and delicious flourless chocolate cookie recipes. They’re gluten-free and sugar-free! We’re not entirely sure about the efficacy of meta tags for on-page SEO but the rule is, if it doesn’t hurt, go ahead and do it. Add the relevant keywords that you’ve researched previously as meta tags. Google needs to know that your article is REALLY about your focus keyword so make sure that your keyword shows up every now and again. Make sure it happens naturally. Do NOT force it and do NOT keyword stuff. The latter will only hurt your site if you try to do it. One of the biggest ways that we are found in our other blogs is through our images. We keyword our images very well so that when our readers search for related topics, our images show up. They are clicked through and our target audience lands on our page. Use your relevant (researched) keywords on your page title, alt txt, and description. So, keyword your images well. Don’t be a lazy bones. SEO your images too as they’ll be a big help in getting your website found. Linking to other sites is important but so are internal links. Linking to your other content tells Google that your website is all interconnected and is all about a core niche. It also lets your readers find relevant content that they’d have a high possibility of being interested in. All in all, a win-win situation. In our case for this post, we’ve had to interlink several times so as to avoid explaining things that we already discussed before. By using internal linking, you can just click on the link and read our full article on said topic. Now these are just some of the techniques that we have on On-Page SEO. Use them altogether on your pages and get found much much faster. 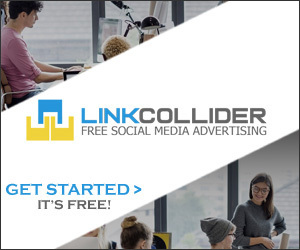 Author’s Note: If you want to be found by more readers and get more website traffic, try out LinkCollider. It is primarily a site that helps you get followers and likes for your social media sites but it can also bring traffic to your site and help with your SEO strategy. Check it out HERE. These is nice information on page seo, I really appreciate content, which is cover over here, Fantastic. These is nice information, I really appreciate the content on page SEO, which is cover over here in details, Fantastic. I had some idea about on page SEO but I think I have better idea about it after reading your article. Really well written and very informative. Interesting and useful post. Now I have more clear how to implement On-page SEO on my page.